Helping caregivers provide the best care. 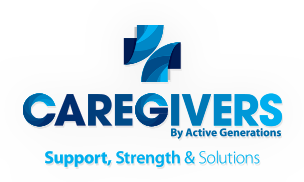 CAREgivers is a state-wide program created to assist family caregivers through resources, education and support. Our evidence-based programs are designed to offer support for caregivers and their loved ones with real-world assistance, both in their community and online. Our services are provided either at no-cost or low-cost and are offered in a variety of settings and locations. We are dedicated to helping you help your loved one. You may click on our individual program links or call 1-800-360-6161 to learn more. "The Alzheimer’s Association South Dakota Chapter strongly supports CAREgivers by Active Generations’ proposal to expand and improve their CAREgivers Outreach program in the state of South Dakota. This program not only helps caregivers identify themselves as such, it also expands outreach through the employment of a caregiver case manager and implementation of the Stress Busting program."